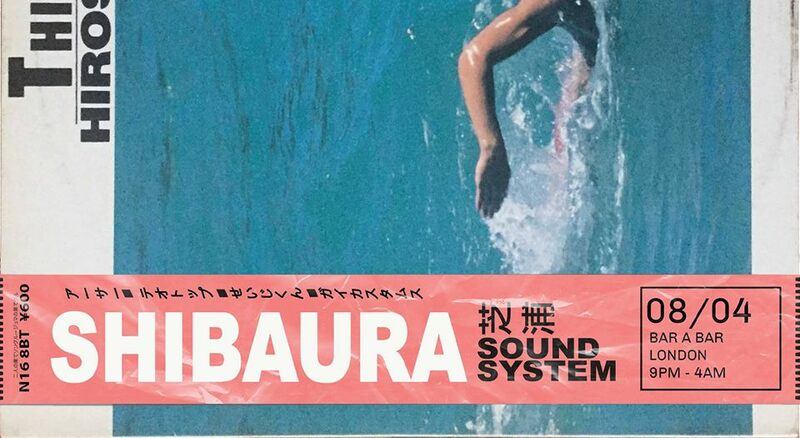 Of late we had our interest piqued by London/Paris crew Shibaura Sound System, who have been putting on parties in both home cities, focusing entirely on Japanese records. From this seemingly limited palette they manage to encapsulate a wide range of musical vibrations, from ambient and jazz to boogie and electro. Gearing up for their next party at London’s Bar A Bar on April 8, Shibaura Sound System’s Arthur Roosterwing put together a fascinating mix covering just one cornerstone of their sound. We asked Arthur and fellow Shibaura member, Elliot Bernard, some questions about the mix and of course their parties. Artwork borrowed from a poster by Kazumasa Nagai. CF: What is the Shibaura Sound System? Where did the idea originate from and what is its purpose? Elliot: Out of our respective interests in Japan / Japanese music, Arthur and I decided to start a research project about it a couple years ago. At some point we had all these records and with friends Guy and Théo who were collecting Japanese stuff as well we decided to put on a party. We thought it’d be a good way to introduce people to it. First one went well so we decided to keep doing it – in order to contribute in keeping this music alive but mainly because it is a lot of fun! Shibaura Sound System gets its name from Shibaura, the district in Tokyo where Alfa records, one of the main labels at the time (e.g. where YMO recorded their first album) had their studio (Studio A). It consists of the four of us + friends who participate in our dodgy DIY stage design, illustration etc. CF: How did you first get interested in Japanese music? What inspired you to start collecting it? Arthur: My father has always been a huge fan of Ryuichi Sakamoto, and I have very fond memories of the two of us blasting The Last Emperor and Furyo in the car. I’ve loved Sakamoto’s OSTs for as long as I can remember. Through him, I discovered Yellow Magic Orchestra which introduced me to Hosono and Takahashi, Sakamoto’s partners in the trio. It led me to many other artists and labels and from then on I was hooked. There is a very special feel to Japanese music that I just can’t get bored of. 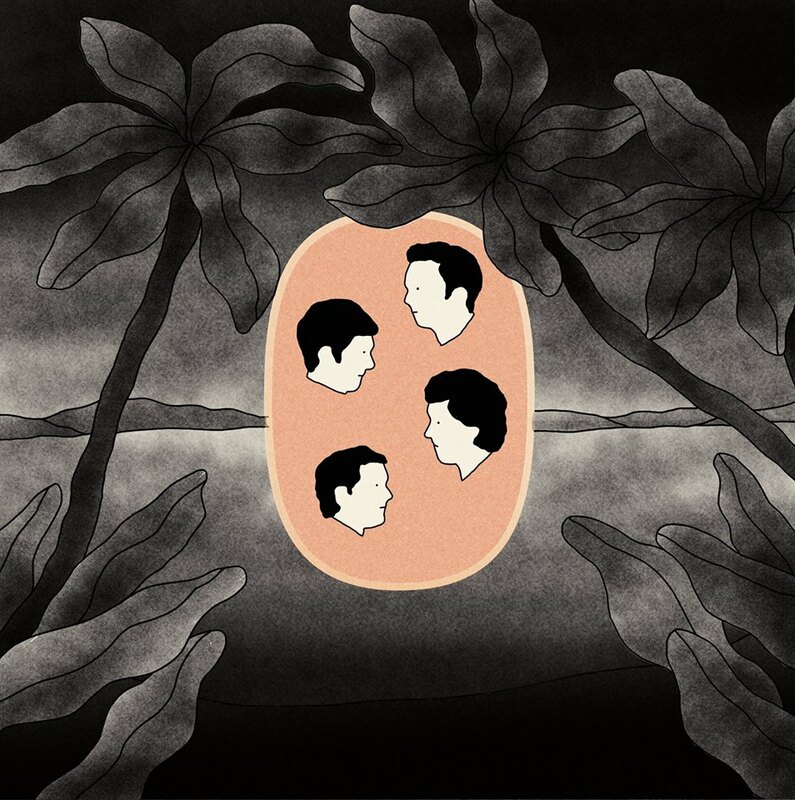 Elliot: My Mom is Japanese so as a result of being brought up with Japanese culture and being into records I got into YMO and then with time, went further. There’s so much out there, it feels like as a lot of it didn’t make it out of Japan at the time other than bands such as YMO and other big Jazz/Fusion acts who collaborated with foreign (a lot of them American) musicians – a lot of this stuff is only getting rediscovered abroad years later through the work of record collectors, DJs, Internet etc. CF: Tell us more about the music you can expect to hear at the party, as we’ve talked a little before about the variety. Elliot: The range is quite wide, it is an interesting exercise as there is a finite amount of records we can play from and a lot of this stuff doesn’t often get played in clubs (at least to our knowledge). It’s always exciting to try and imagine what could work. There is a point to be made in how well these records were produced, lots of it wasn’t made for clubs I don’t think but just happen to sound really big on loud speakers. At the party, we usually start with ambient/new age/jazz stuff to create an atmosphere and slowly build it up into different dance music stretches such as more familiar disco/boogie/city pop, mid/late 80s Hosono type electro stuff or higher tempo techno pop for example. The more we do it the more confidence we’ve been getting in trying to bring in some of the more eccentric, unexpected left field bangers, like some of the stuff played in the second half of this mix (thinking of the Hoodoo Fushimi, the Genji Sawai or Shohjo Tai tracks for instance). Arthur: Recently I’ve been shifting my focus a bit from city pop and disco towards the electro-funk stuff that came out in the late 1980s. Next time I’ll pack more of this in my bag ! CF: So how and where was this mix recorded? Arthur: The mix was recorded at my place in Paris, where I can take the time to really think a mix through. It’s been recorded on turntables + a couple digital files. CF: The mix starts off in quite ambient territory before stepping up the pace, so to speak, can you tell us a little more about what you wanted to express in the mix? 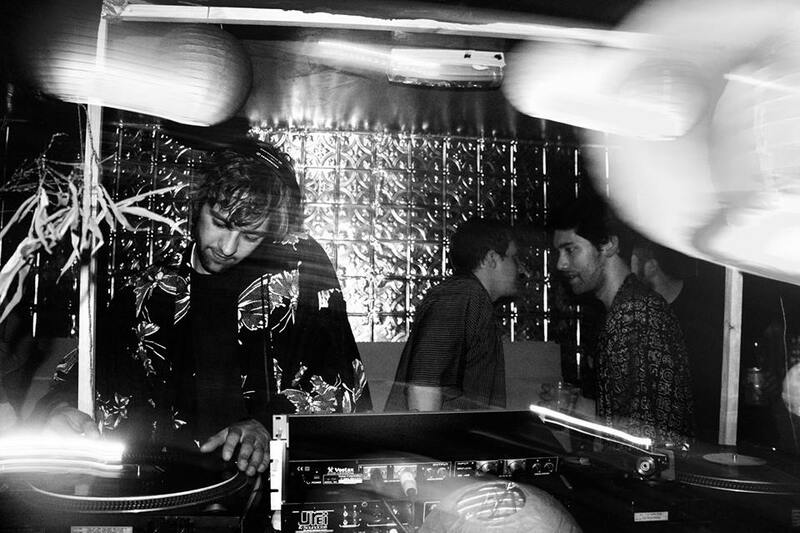 Arthur: I wanted to end up with a mix that takes you from some place to another. I like when sets have a strong change of direction and give off different energies. CF: What do you normally listen to at home? Tell us about a few of your favourite albums past or present. Arthur: By myself I mostly listen to downbeat music. No genre beats another, but I play a lot of AOR, jazz, ambient-ish stuff… It depends if I’m alone or with company, I generally try to play stuff that I think my guests will like. 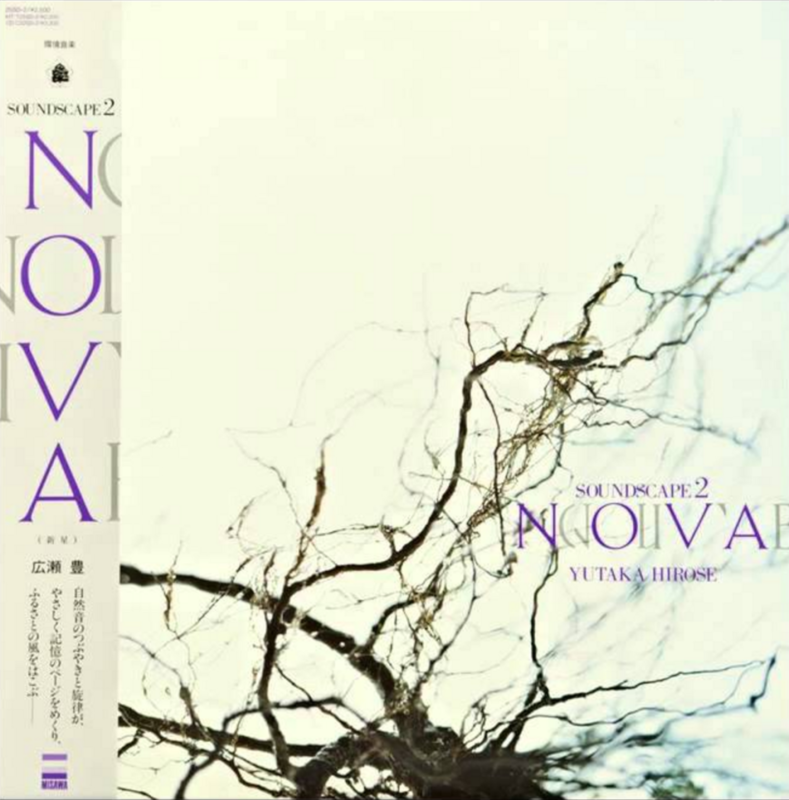 A record I could not get rid of is Yutaka Hirose’s Soundscape 2: Nova. The first track of the mix, Humming The Sea, is taken from this LP. It’s a great example of this minimal ambient vibe in Japan in the mid 1980s, with artists such as Hiroshi Yoshimura and Satoshi Ashikawa. There’s a form of poetry in the extreme minimalism of this music that really gets to me. Another record I’m in love with is Pamoja by Sadao Watanabe. I’m really into modal jazz and there is this absolutely sick 15 minute track called Vichanaki that might very well be my favourite jazz piece ever. CF: What’s your favorite thing about living in Paris & London respectively? Arthur: Chinese food from Belleville! But if I may add the thing I love about London is the general openness to any kind of music. People are very curious and as a DJ, that translates into more freedom to play what you like. Elliot: The people I’ve met! CF: Aside from more parties, are there any other projects or even dream projects you have in mind for the future? Elliot: We might get into doing prints referencing Japanese record covers (a lot of the artwork is remarkable) with some of our illustrator friends. And not sure how ambitious we can be with this yet but we’re still on and off, working on the research project. There are a few other things we are thinking about, but as we have other projects going on (e.g Guy co-runs another crew in London called Customs and Théo a crew in Paris called La Mamie’s) we’ll take it one idea at the time. Oh and next party is in Dalston on 8th of April!